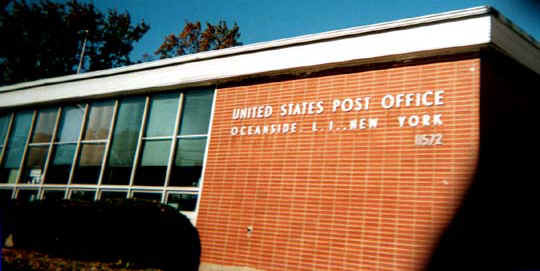 For those of us who no longer live nearby and were wondering how much our little town on Long Island, Oceanside, New York, has changed in the 40+ years since we were graduated from OHS (and how much of it's still the same), I prepared the following photographic tour. Most of these photos were taken on October 28, and some on November 28, 2001, but a few were taken earlier, for example, during our 40-year reunion weekend in July 2000. Since most of the photos below were taken, the Great Lincoln Shopping Center has been renovated, decorative lampposts have been installed along part of Long Beach Road, and several other beautification projects have been undertaken in our little town, the most dramatic of which, of course, is the 25-foot Liberty Lighthouse constructed on the town triangle in 2006. 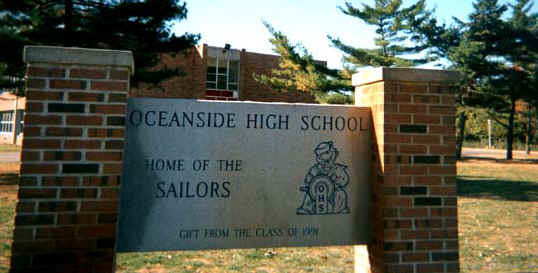 Our tour begins, of course, at the familiar intersection of Skillman and Brower Avenues — "Home of the Sailors." 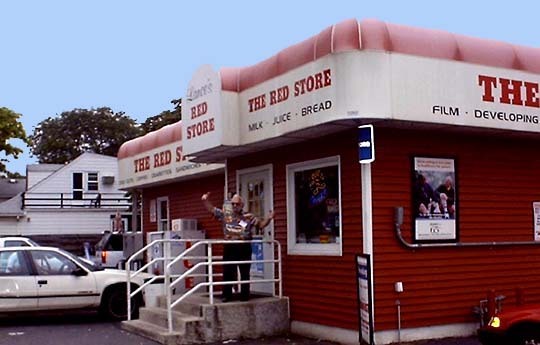 Below, the "Red Store" (at the northeast corner of Oceanside Road and Waukena Avenue) was known in our time as "Artie's Little Red Store" — and Artie lived in it! 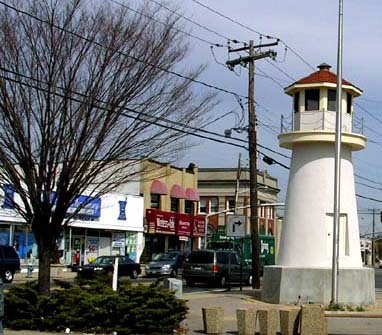 Next is our town triangle, looking to the south, toward the funeral home where Smiles 5¢ and 10¢ store used to be. The almost 100-year old yellow building just to the right of center on Lincoln Avenue, now housing an automobile radiator rebuilding business, was the Columbia Engine Company No. 1 firehouse, built in 1905. Looking north on Long Beach Road, the west side of the triangle to the left, below. Note, Levin's Pharmacy is still there as is the beautiful old building that used to house the Oceanside National Bank, now a mortgage company. Continuing north on Long Beach Road, could this boarded up, empty building have once contained our popular old hang-out, the Towne Tavern? Yes, it did. The Oceanside movie theater, above, and the Oceanside Motel, below, across from what used to be Farmer Joe's. You can see the Towers Funeral home (click here for information about a once famous 1920s resident in the house that became Towers Funeral Home), still operating, in the distance to the left at Foxhurst Road. These two photos were taken from the parking lot of what was then the new "Ocean Star" diner (now replaced by "Mitchell's," of Valley Stream), which we always knew as the "Rainbow." The more familiar view from the rear (Oceanside Road). The brick building to the left was Henry's German Delicatessen (with the best German potato salad ever), and the left half of the building featured here was Murray's candy store and luncheonette. The right half was the now expanded U-Needa Prime Meats butcher shop. 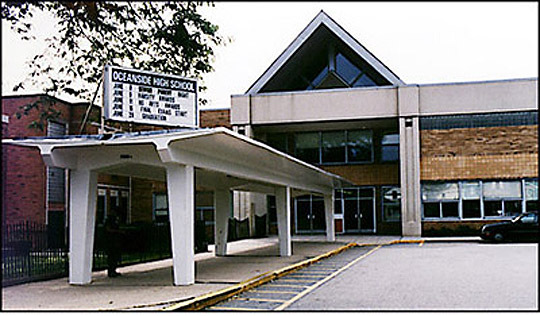 Below are some of the remaining elementary schools you may remember. This one is School No. 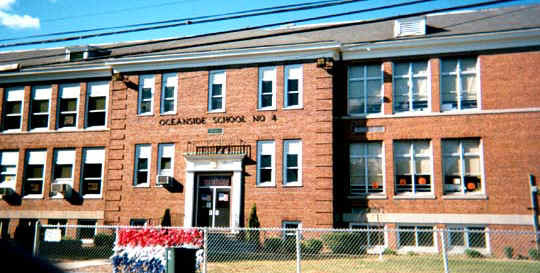 3 (called "Oaks" School) on Fortesque Road. 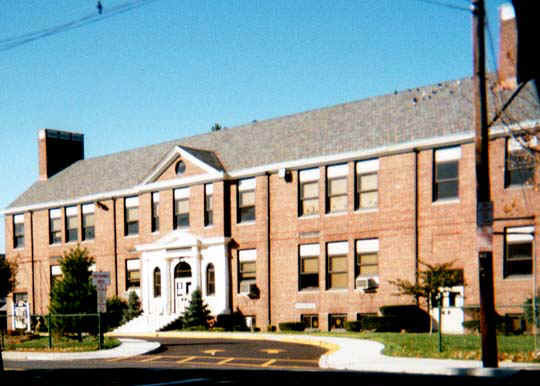 was leveled and replaced in September 1963 with this new one, which was named after long-time School No. 2 principal, Florence A. Smith. OK, so Silver Lake is not in Oceanside — but it's close! 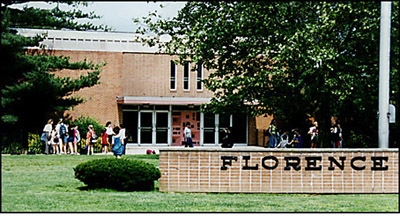 Click here for photos of our class tour of the inside of our high school taken during reunion weekend, July 2000. Click here for photos of our little town (including our town triangle) in the 1950s. 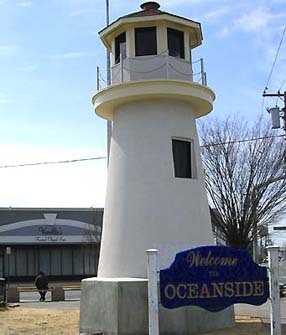 Click on the green logo for a brief history of and tribute to in Oceanside. Click here for a photo of South Nassau Communities Hospital circa 1950. 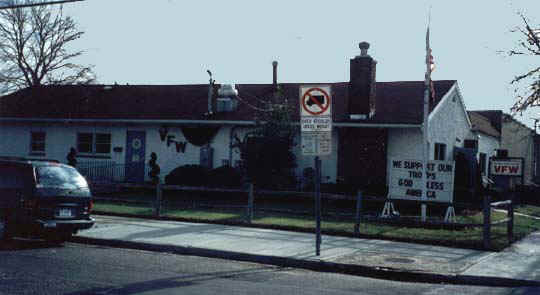 Click here for information about a once famous 1920s resident in the house that became Towers Funeral Home. 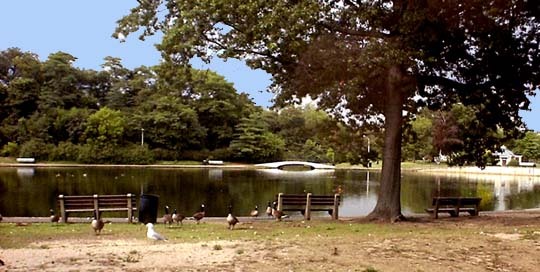 Click here for information about Schoolhouse Green. 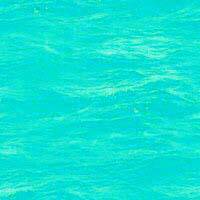 Copyright © 2001-2013 by Howard B. Levy and 1960 Sailors Association Inc. . All rights reserved.